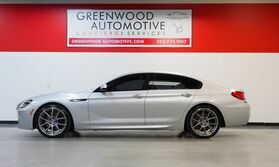 We are not just a used car dealership at Greenwood Automotive. We are a concierge service. 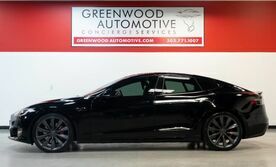 That means we will cater to your automotive needs and help you find the ideal vehicle right here in Greenwood Village. Whether you are looking for a luxury German car or even a premium American car, we have what you need. Our inventory also includes classic cars, tough trucks, SUVs, Jeeps and more. Located right here in Greenwood Village, Colorado, we can proudly serve the needs of Denver and all the surrounding areas. 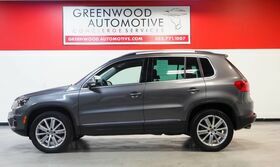 If you live in Eastern Colorado, and you are looking for the perfect car, truck, or SUV, then let the Greenwood Automotive team help you find it right here in Greenwood Village. I've been living in Castle Rock for 11 years now and found Greenwood Automotive about 8 years ago. I typically changes vehicles every 9-16 months for the simple fact, I like new rides. The crew at Greenwood ALWAYS hooks me up. From taking back my last car to putting me into a new one, the process in literally seamless for me. Over the past 8 years I've purchased and ... traded in a dozen vehicles without regret. This past week a Mercedes E500 caught my eye and within 2 hours I drove it home, seemless. I literally no longer shop anywhere else. 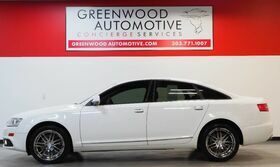 Do yourself a favor, call Steve at Greenwood and treat yourself to a new ride. WOW!!! What a great buying experience with Steve from Greenwood Automotive. I Googled 2008 Corvette Convertible for sale, Google took me to several sites to include Greenwood Automotive, saw the Atomic Orange 2008 Corvette for sale, entered my contact information, Bingo, Steve called me in New York State within 10 minutes. Having never bought a vehicle from a website ... or over the telephone, Steve walked me through the entire process to include transportation from Colorado to upstate New York. All paperwork was completed and bingo I had the car delivered in 10 days!! The car was in better condition/shape that I could have ever impinged, pristine condition, 9.9 out of 10!! Best car buying experience ever......better than when I went to dealerships for previous automobile purchases !! Steve was very helpful, responsive and professional to all of my many questions via the telephone and e-mail......really the best car buying experience I have ever enjoyed!! I would not hesitate to buy additional vehicles from Steve and Greenwood Automotive. Oh, by the way, the retail price was the BEST of any 2008, low mileage Corvette convertibles that I researched, very fair price, great condition. Dennis K. Happy, satisfied customer!! The buying process was quick and easy. And customer service was amazing. Any issues were handed with professionalism and integrity. And having dealt with larger dealerships I can assure you smaller is better. They still have a good selection and can help you find what you are looking for but most importantly you aren't just a face in a crowd for a greedy car shark to ... jump on, here you are an actual person and treated like one. Well, and then there is Paul Martin. 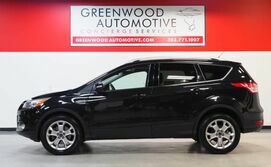 Very knowledgeable, humorous but professional with listening skills made the transaction of buying a used car from Greenwood Automotive so effortless and in no time I left with a good car and an even better experience which is ultimately what I was looking for. Paul delivered. Want something similar ==> ask for him! 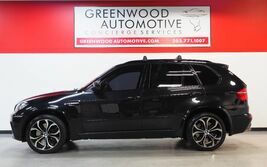 I recently purchased a vehicle from Greenwood Automotive and I can’t speak highly enough about the experience. 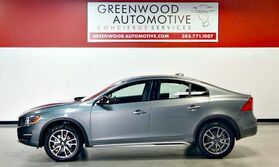 From the initial test drive to signing the final documents, Tom Berry and the staff at Greenwood made the process extremely comfortable, pressure free and very accommodating. Due to an issue with my hand I have a hard time writing/signing a lot of documents ... but Tom was nothing but patient and helpful. That alone earns the highest marks for me but getting a great Wrangler at a very good price was also a nice bonus. Thanks again, Tom. Had a great experience with Steve Schwegmann. I was in the market for an '08 Outback XT. There was one on the lot and I test drove it. Steve allowed me to take the vehicle so that I could have my mechanic look it over. I was later getting back to the dealership, but Steve stayed around for me. When it came to financing, I had already been pre-approved through my bank ... . Steve was able to talk to his connections and get me an even lower rate through my bank. I will definitely recommend Steve and Greenwood to others. I have bought three cars from Steve in the last year. He is great to work with and the dealership has quality cars. The experience is no pressure and actually is fun. Thanks for all the help and the great cars, look forward to buying my next car here!! I had been looking for a Highlander for over a month and saw a nice one at Greenwood. I have talked to a number of sales people and by far Tom was the most down to earth. There was no pressure and he did what he said he would do. He helped me get a great rate for my loan and the experience was sooth and relatively easy. I would recommend buying from Greenwood ... Automotive. Sales staff was understanding and professional. Selection of cars was excellent and the prices were very fair.